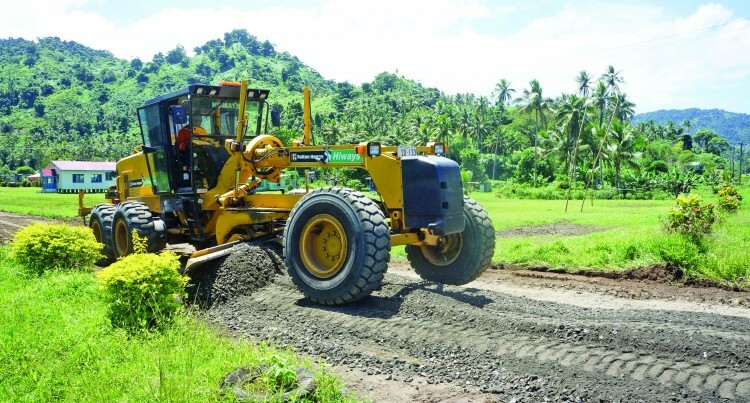 A deteriorated section of Vanua Levu’s Cross Island Road has been graded and raised by at least 60 millimetres due to “wear and tear” over the years. Nadamole Village is located approximately 13 kilometres from Savusavu Town. “The road was lifted by adding 50 to 60 millimetres of base course to strengthen the subgrade that was on the existing road,” said FHH Construction Crew Supervisor in the North, George Hughes. “This section of the Cross Island Road had many pothole patches and the road had sort of sunk due to wear and tear over the years. “Especially with overloaded vehicles using this road on a daily basis, it was time to take out the seal and grade, but this time it was cement stabilised,” added Mr Hughes. At least 1,000 people live around the area, which includes neighbouring villages of Nabaci, Jerusalemi, and Urata.